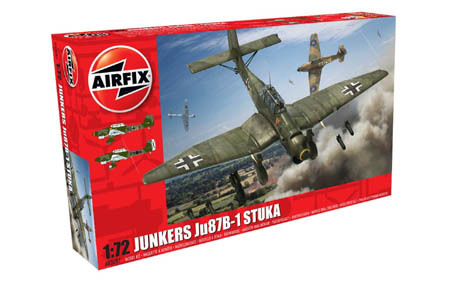 The Junkers Ju87 Stuka quickly became one of the most infamous, and feared weapons of the Second World War. The two-man dive bomber first saw action in the skies over Spain during the Spanish Civil War. While outdated in appearance the Stuka did contain some modern features such as automatic dive brakes but overall the design was outmoded. Over the skies of Poland, France and the Low Countries in 1940 the Stuka was able to operate in clear skies and did so effectively but over the South of England during the Battle of Britain, the Stuka came up against staunch RAF fighter opposition, and suffered as a result. Later the Stuka was used in the Balkans and the Western Desert, and continued to serve Russia, as a tank destroyer, until the end of the Second World War.